A Swoon-worthy Romp through Boy Band history—with a queer twist! 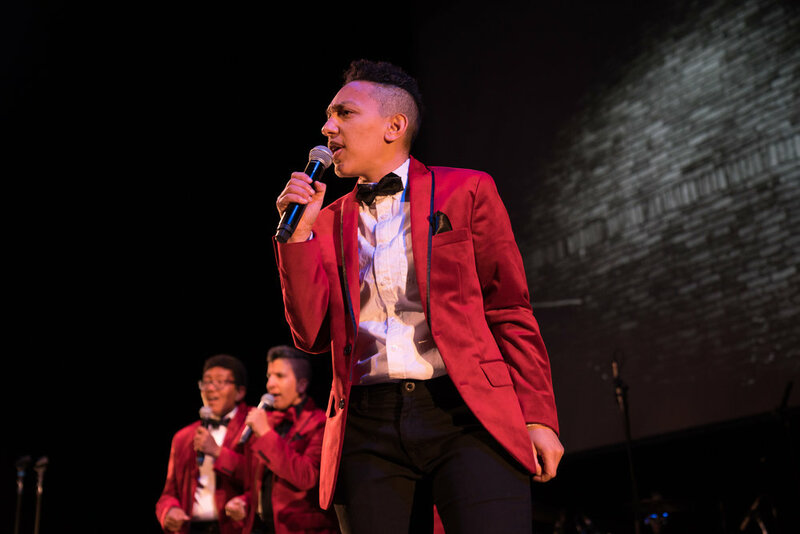 A playful exploration of gender, race, and sexuality, A Queer Story of the Boy Band traces the evolution of the male pop vocal ensemble through barbershop, doo-wop, Motown, and more. 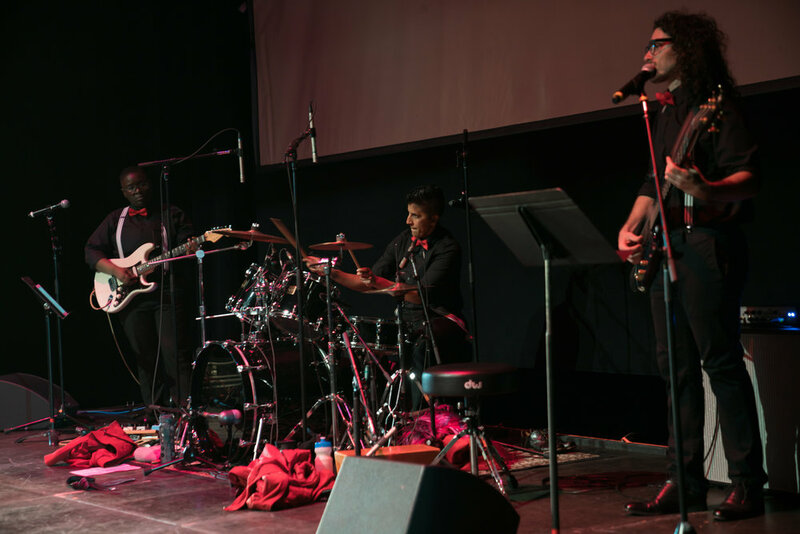 Combining unique arrangements, dynamic choreography, and the artists' personal stories, this musical revue pushes the boundaries of masculinity and reveals how women, transmen, and non-binary people shape its construction. Read more about the show here. 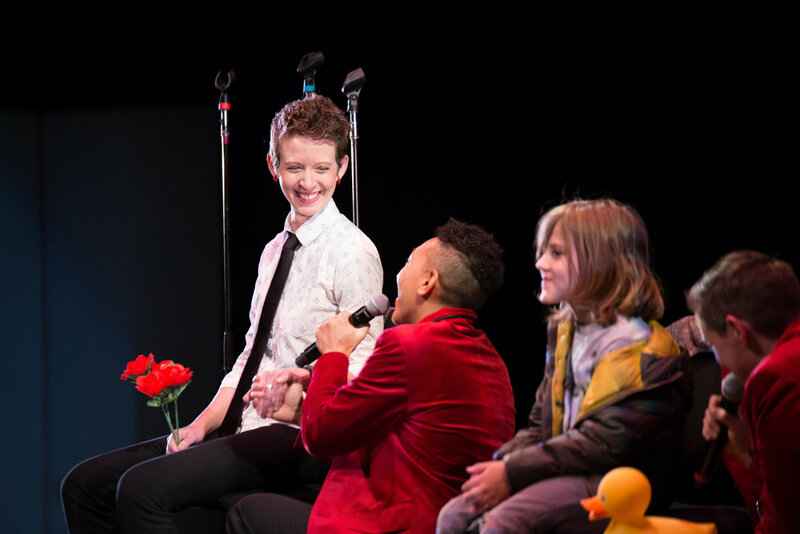 Developed by a team of award-winning artists, Queer Story has been presented at a variety of venues including in national arts venues, festivals, and universities. In conjunction with the performance, the artists also offer workshops, talks, and other community engagements. Book A Queer Story of the Boy Band today!